Our product range includes a wide range of ladies formal knee skirt, ladies straight knee skirt and ladies designer knee skirt. Owing to our strong fashion expertise, we are at the forefront of presenting premium quality Ladies Formal Knee Skirt. 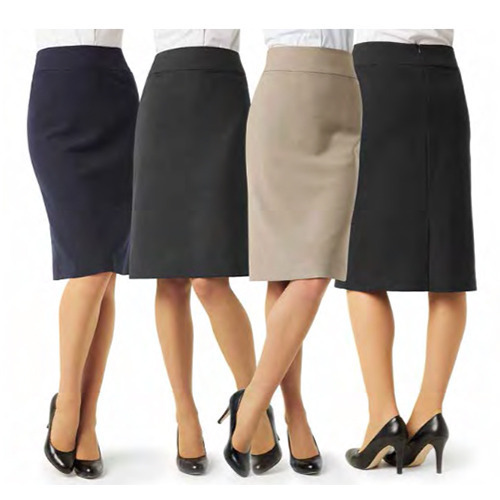 We are highly experienced firm best known for the quality of our offeredLadies Straight Knee Skirt. We bring forth the 210 GSM thread counts in these skirts. With the aid of our expert individuals, we are instrumental in presenting premium quality Ladies Designer Knee Skirt. We stock a vast range of colors and sizes from 26 to 36 more modern and confident working women that seek style, grace, and self-assurance in their outfits at work. Ideal to be worn all day long during harsh weathers, these highly comfortable skirts come with a broad waistband and stylish back slit. Looking for “Ladies Knee Skirt”?